As one of the solutions to global warming, photovoltaic (PV) systems nonetheless are not immune to the destructive effects of extreme weathers caused by climate change. The two typhoons that hit Taiwan this year, Soudelor and Dujuan, cost an estimated NT$1 billion in damage to the island’s PV power plants. The suspension of operation for repairs that follows also significantly affected the investment returns of these PV systems. The results from the typhoons along with other natural disasters show system owners the necessity of having insurance and specialists providing operation and maintenance (O&M) services. Proper maintenance ensures stable power generation from PV power plants, and this is especially the case in Taiwan, where natural disasters frequently occur. In an interview, Energy Guard Assistant Vice President Justin Lan and Director Chamber Pan explained to EnergyTrend the vital role that their team played in Taiwan during Typhoon Soudelor and Dujuan. They noted that while O&M may appear to be extra costs in the installation of a PV system, but these services are highly valuable considering the potential risks. 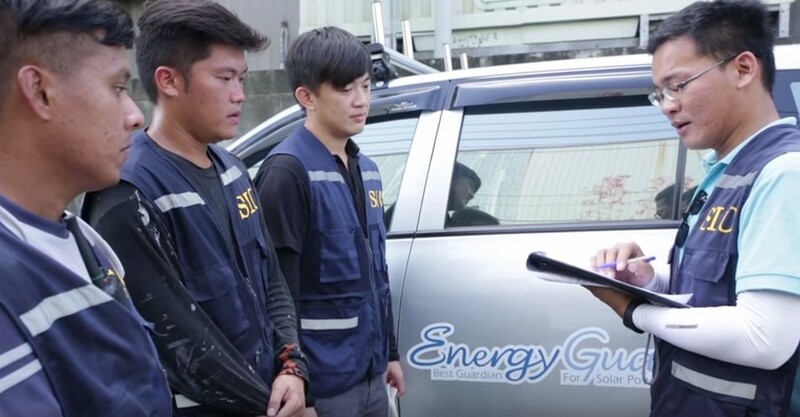 Professional consultation, stable operation and trustworthy reputation are values that EnergyGuard creates for their customers, and their importance was revealed during this year’s typhoon season. To show the speed and efficiency of his team, Pan used a client as an example. This client has three PV power plants and one of which is covered under an O&M contract with Energy Guard. After the two typhoons swept across Taiwan respectively in August and September, the client found that the plant maintained by Energy Guard was the only one did not suffer severe damage. Pan said that during both natural disaster events, his team was at the client’s plant patrolling and doing maintenance to reduce risks of damages before the storm reached the site. After the typhoons had left, Energy Guard quickly put the plant back into operation, minimize the outage period. 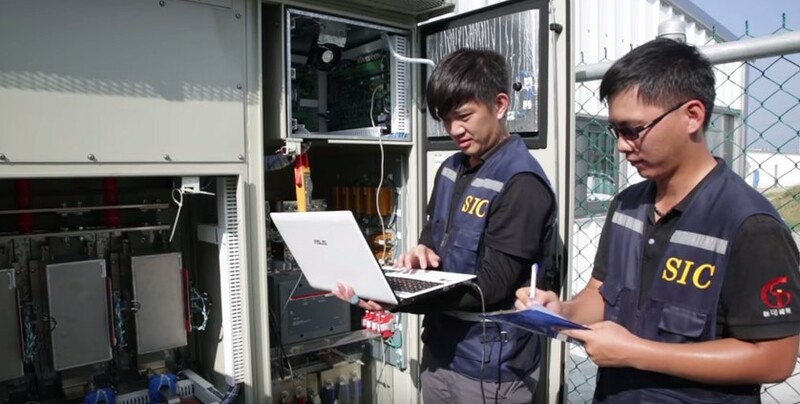 Pan added that making rounds and doing regular check-ups on the PV systems before something goes awry is crucial to reducing risks for power plants. Based on Energy Guard’s survey of typhoons’ impacts on Taiwan’s PV industry, those plants that suffered the worst damage were not properly built to begin with. Moreover, some systems were not on sturdy rooftops, so the typhoon winds can lift up the entire roofs along with the PV modules. While the qualities of system installations ultimately depend on the efforts of the EPC themselves, Energy Guard will work with their clients to monitor these systems to prevent deterioration. Also, the company will provide effective suggestions for improvements. These are the benefits of working with O&M professionals. “Prevention is better than cure” is the core philosophy of Energy Guard, and the main advantages that this O&M provider has over its competitors are speed and precision. During the interview, Lan pointed that the “soul” of PV power plant lies with its inverters, high voltage electronic equipment and DC/AC panel. Energy Guard’s strength is shown with its ability to maintain them in accordance to the highest professional standards. The team has the right tools and the right people. 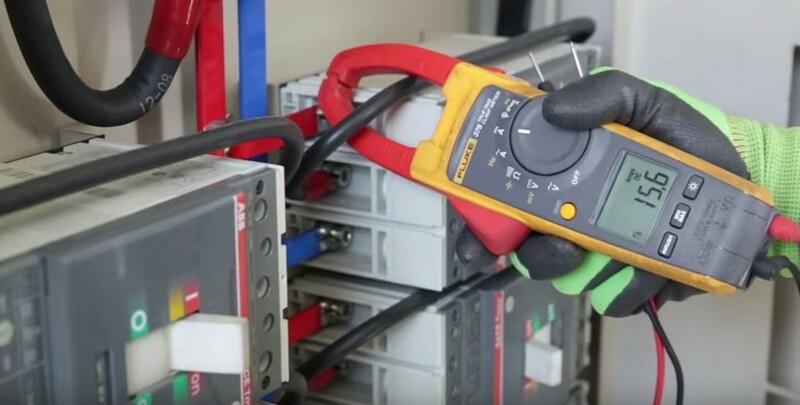 In addition of the basic test equipment such as voltmeter, ohmmeter and clamp-on multimeter, the company also has less commonly seen tools such as infrared thermometers and power quality analyzer (PQA). These two devices each have specific uses in the care of PV systems. PQA: It can be used to collect data from the electricity grid over a period. The data will be analyzed to determine the source of instability in the power generation process. For instance, one or pieces of equipment a PV power plant may be malfunctioning and require repair or adjustment. PQA is an effective tool to help troubleshoot some of the most difficult grid-related problems. Infrared thermometer: It is used to check temperatures across the PV system so engineers can locate the overheating components. This tool is vital in the early detection and prevention of short-circuit problems and fire hazards. Also, it can help improve a system’s efficiency. The above are some of the advanced tools that Energy Guard engineers use to quickly and correctly identify issues affecting a system’s performance. Upon the completion of each maintenance job, Energy Guard will also provide their clients a complete incident/check-up report detailing the working condition of their respective power plants. Data collected from sophisticated test equipment still require experts to read and analyze for further maintenance. Energy Guard’s most valuable asset is therefore its team of engineers. There are two groups working together in every O&M case – a plant management unit and an equipment repair unit. People working in both units are directly employed and trained by the company. The plant management unit is comprised of two engineers for safety and efficiency during the inspections of PV systems. Energy Guard also provides the management unit with maintenance vehicles that are equipped with high-tech instruments and carry PV system components. Thus, the management unit will be able to accurately assess the condition of each system and determine if maintenance is needed. The equipment repair unit specializes in troubleshooting electronic equipment, such as inverters. Whenever an issue is discovered by either the plant management unit or the company’s cloud-based monitoring system, the professionals with the necessary tools will immediately arrive at the power plant to fix the problem on site. The cloud-based monitoring system is one of major features in Energy Guard’s O&M services. Developed internally by the company, this monitoring system lets power plant owners and Energy Guard engineers check the state of the power plant in real time on their mobile devices or PCs. If an event had interfered with the operation of a power plant, the monitoring system would transmit an error code indicating the type of problem that is happening on site. Once the engineers had received the transmission and determine the source of the problem, they would immediately arrive at the plant to conduct repairs and maintenance. In other words, Energy Guard’s services are comprised of daily monitoring and real-time management, which substantially reduce interruptions to plant operations, increase stability in power generation, and raise return on investment rates. O&M thus guarantees profitability for plant owners. The two typhoons that struck Taiwan this year have raised awareness in local PV industry on the importance of O&M and insurance for power plants. Lan pointed out that the extreme conditions of the island’s natural environment negatively affect investments in PV projects. Returns on PV power plants can quickly diminish without proper and ongoing maintenance. The Taiwanese government passed the Renewable Energy Development Act in 2011 and started implementing feed-in tariffs (FiTs) for renewable energies. Presently, most of the country’s PV power plants are still under the five-year warranties provided in their EPC (engineering, procurement and construction) contracts. However, the number of “orphaned plants” will grow as EPC warranties expire. Risks of deterioration of systems and equipment will also increase. Therefore, O&M and insurance will become the two main pillars supporting PV power plants and keeping at a level of profitability. In the case of Typhoon Soudelor, the PV power plants in Taiwan suffered insured losses that reached NT$1 billion in total. Power outage that followed the typhoon resulted in additional losses for the plant owners. Professional management services offered by Energy Guard can significantly reduce these kinds of losses associated with power outages. Moreover, Energy Guard is also planning to work with system installers and insurance firms to create a more complete protection solution for their clients. Currently, Energy Guard has developed plans to work with international certification companies to become a third-party consultant. Energy Guard engineers can provide expert advice and on-site inspections of system installation to check the quality of work. Reports and data from the third-party consultant are also useful to getting insurance for PV power plants. Energy Guard’s professional and objective assessments will encourage insurers to negotiate with PV plant owners in creating another layer of protection to plant operations. In Taiwan, PV power plant projects that are considered high risks and without insurance coverage will have difficulties securing funding. These PV power plants are often built with much lower costs and may not meet certain quality standards once they are in operation. By then, insurers may be even less willing to provide coverage for them. In order to break this cycle, PV plants require professional O&M services provided by Energy Guard. Energy Guard is the first established O&M provider for PV systems in Taiwan. The company is composed of experienced professionals using advanced tools and cloud-based monitoring system. Having in-depth knowledge in PV and electronic equipment, Energy Guard can provide fully customized, integrated solutions to their clients. The company expects O&M portfolio to reach 60MW by the end of 2015. Energy Guard will continue to its expansion into the Taiwanese market and work hard to raise the overall standard of the local PV industry.